For those first-timers thinking about buying a home in the months to come, be sure to add homeowners insurance to the long list of things you need to research. Current homeowners could benefit from a call to their agent to brush up on the details of their policy, just in case. Mortgage lenders typically require buyers to have a policy to insure the house as part of their loan agreement. For financial planning purposes, it’s not just the cost of the mortgage you're calculating, there’s the additional payment of insurance to keep the home and its contents protected from most potential disasters. There are levels of coverage provided by insurance companies. Of course, the more coverage you purchase, the higher the purchase price for the policy becomes. Policies pay out the value of your home and your things while deducting for depreciation. Covers the home and all of the items within, but do not apply depreciation deduction. Usually the most expensive, but for good reason. They offer the best protection. The payout will cover the cost to rebuild your house in the condition it was before it was destroyed, regardless of the policy limit. This helps to minimize the unknown fees associated with a large disaster that caused supply shortages or inflation in construction prices. You won’t be able to update the new house to code under normal guaranteed replacement type polices. An additional policy will need to be purchased to make these upgrades. For those who love charming, historic homes, it may age out of guaranteed replacement policy eligibility. Standard policies will cover fire, theft, vandalism, and many weather related incidents that do damage to the structure of your home. They also include protection for the items inside the home, such as clothing and furniture. Expensive jewelry, furs, and artwork may need separate policies of their own. 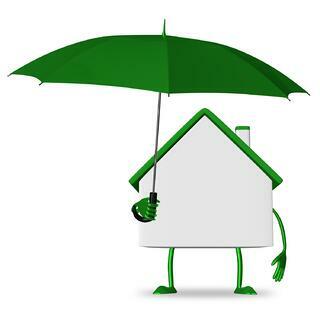 Liability protection is also provided in homeowners policies. This insurance is needed to protect you and your family from lawsuits. Legal action stemming from bodily injury or damage to others’ property that happens to be caused by you, your kids, or even your pets is covered. Be aware, there are dog breeds that will cost you more for liability insurance. Lastly, know there are payout limits for each policy. That means heavy rain, (anyone heard of El Nino? ), storm surges, and even land development near your home puts the house at risk for water damage. None of these circumstances is covered in normal homeowners polices. Flood insurance is largely purchased from the government under the National Flood Insurance Program. Don’t try to ride the dry season out to save money. There is a 30-day waiting period before federal flood insurance protection kicks in! Earthquakes. It used to be that California residents were the most likely to be affected by earthquakes, but as we all know, they are becoming more frequent throughout the U.S. Just in the last few years, the capital was rocked by a quake large enough to damage the Washington Monument. Anyone living in Oklahoma will tell you all about the tremors possibly related to fracking. Select companies provide separate policies for earthquake coverage, but they have high deductibles. Damage from lack of proper maintenance. Homeowners insurance adds one more reason to keep up with home maintenance chores. For example, destruction from unattended water leaks that produce mold or pest infestation that has been left to run rampant are not covered. Sewer backups and line breaks. Sewer backups are not insured. Nor are the repairs or maintenance of the lateral line that leads to the main sewer lines in the streets. Sump pumps that do not work correctly and cause water damage to the house are also normally not included. This one might surprise some homeowners, because it seems as though sump pumps would be considered part of the inventory of a home. The first decision to be made is what type of rental you intend to run because insurance policies will be determined by length of occupancy. Short-term but regular rental space in your primary residence will require an insurance policy suitable for a business such as a bed and breakfast or hotel. Occasional short-term rentals may be covered by normal homeowners insurance, but notification to your provider must be made. Long-term rentals in a second home are insured differently. Rental or dwelling policies are necessary to cover tenants. The Insurance Information Institute suggests that landlord policies will cost the owner nearly 25% more to have adequate coverage. One reason is the addition of liability coverage for issues related to tenant’s injuries such as legal fees and medical costs. The same landlord policies hold true for vacation and other investment properties. Many landlord policies also include the loss of rental payments if the home becomes inhabitable from disaster. The length of time varies, however. Requiring tenants to obtain renters insurance is a way to mitigate potential legal issues if destruction of the property occurs. Renters need to know that their possessions are not covered under any homeowners policy. Landlords will often stipulate this in their rental agreements. As overwhelming as the numbers and legalese seem, shopping for homeowners insurance is just a normal part of the house buying process, especially for first time buyers. Leading home insurance company’s websites offer many calculation tools and breakdowns of what is and what is not covered in their specific policies. For more in-depth information and help understanding homeowners insurance and other programs including renters and auto, the Insurance Information Institute is an extremely helpful resource. MilitaryByOwner strives to provide quality information to begin investigating any type of home-related issue. Please use this overview as a starting point, and contact professionals and/or legal providers for more information.